Every college town has special traditions that get passed down through generations of students. The traditions that stand the test of time and become rights-of-passage are those that appeal to, and connect, the diverse communities that make up college campuses – from the students to the professors, locals to transfers, and innocent incoming freshman to wise graduate students. Since the late 1990’s, the tradition in Davis has included challenging friends to conquer the Wiki Wacky Woo, the signature cocktail made famous at the bar at Café Bernardo Davis. In 2015, Café Bernardo Davis served over 11,000 Wiki Wacky Woo’s. 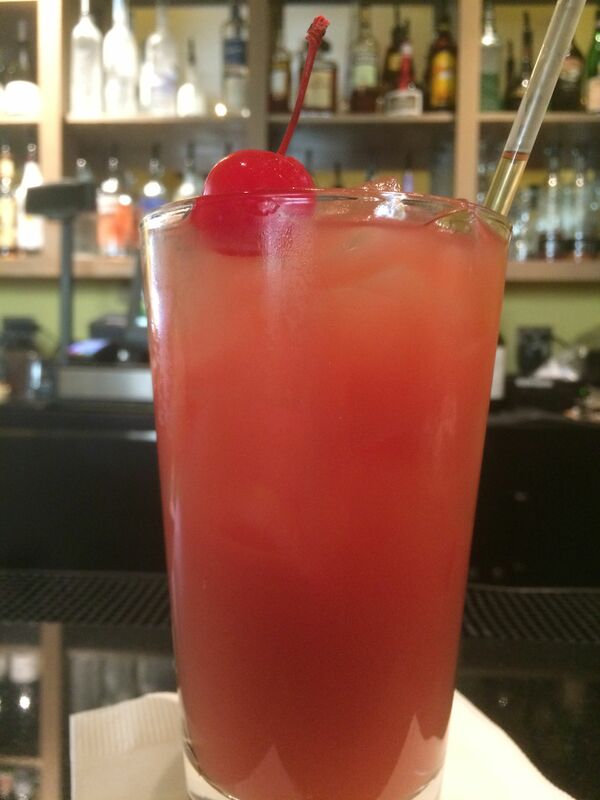 The potent cocktail is loaded with vodka, gin, rum, tequila, and triple sec topped with orange, cranberry, and pineapple juices. The final intoxicating touch is a half-shot of Bacardi 151 rum poured down the straw. In 2016, the owners of the bar at Café Bernardo decided it was time to pay homage to the infamous cocktail by remodeling and renaming the bar as Wiki Bar. "When we had the opportunity to remodel, we knew it was time to pay tribute to what people have been calling the bar for years. It was time to make official what has been unofficial for years," explained Randy Paragary, who owns Cafe Bernardo with his wife Stacy, and chef owner, Kurt Spataro. "It is an unusual and unique phenomenon to have 90% of our liquor sales come from one drink." We know for sure that the Wiki was created in the late 1990’s, shortly after the opening of Café Bernardo Davis. However, there are several urban legends about why and how the Wiki was first concocted. The most famous version gives credit to a student bartender with the last name “Nowicki” who wanted to create a cocktail that would allow her to serve her friends the most alcohol for the least cost, while still tasting great. This story seems about right for a college bartender. Other (less fun) stories include that the famous drink was the miracle child of a drinking game amongst Bernardo’s bartenders, or, that one night the bartenders found a recipe in a drink recipe book, altered it to appeal to booze-crazy college students, and the rest is history. Regardless of how the drink got started, the new Wiki Bar is sure to keep the tradition of the Wiki Wacky Woo alive for generations to come. "Our team here in Davis is more than excited for the renovation and re-branding of Wiki Bar," said Austin Harrington, general manager of Café Bernardo Davis. "It's a welcomed change that will undoubtedly be a popular choice for downtown dining and night life." Wiki Bar is scheduled to open soon.